I love Easter. It's a fun, low-pressure holiday, and as Genevieve gets older, it's especially fun. KidBrother Sam mentioned how he loves seeing "last year vs. this year" photos of Genevieve. Brace yourselves. Chubby cheeks! Pigtails! 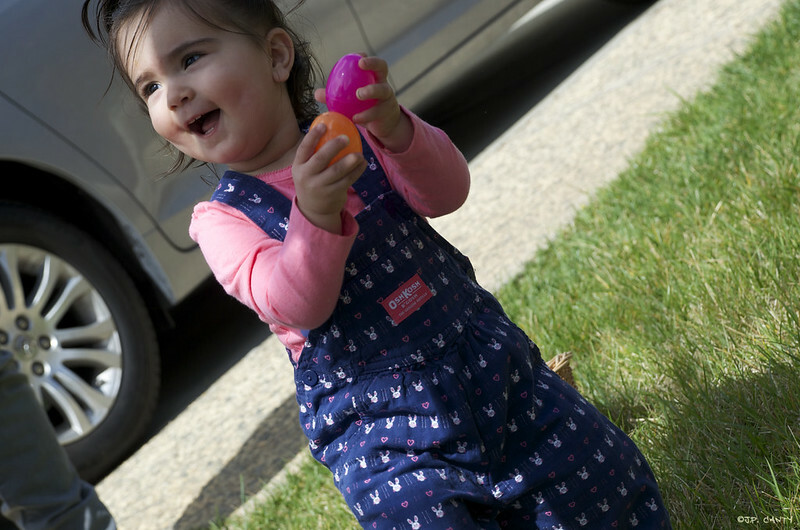 Bunny overalls! A lot of Easter was the same - no sugar, lots of family. But it was also very different. This year, we hardboiled eggs from our local farmer's market, and SuperAndrew donned his seasonal AndrewBunny ears to stay up late dyeing them with food coloring (regular and Neon ), like his mom used to. 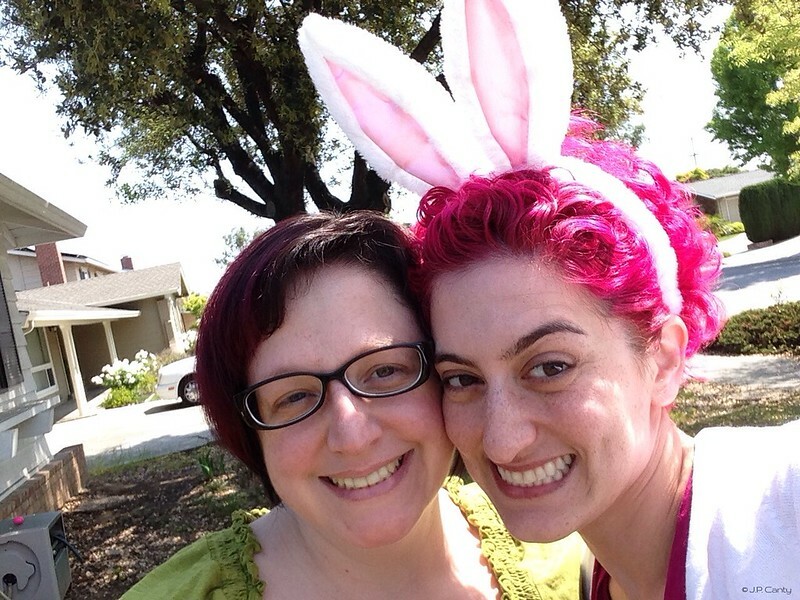 In the morning (after we had Crème brûlée French Toast), Laura the Fairy and I "hid" the eggs. 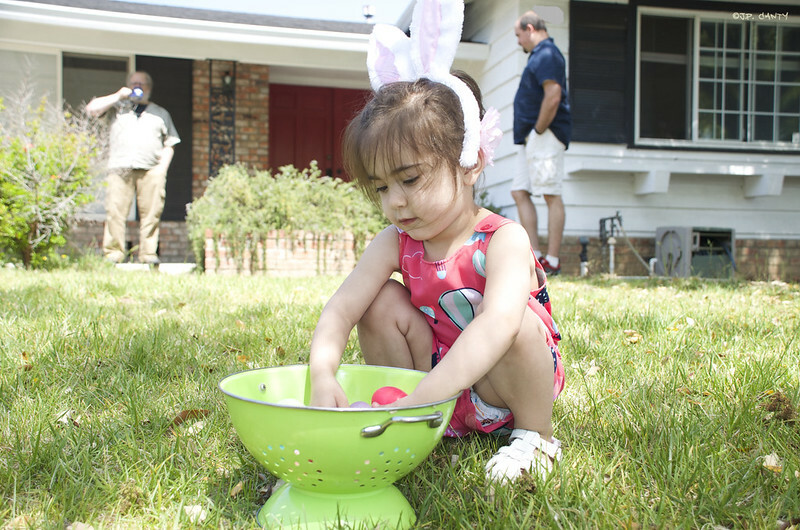 Genevieve, armed with a colander (in favor of a basket), was delighted by ALL THE EGGS. 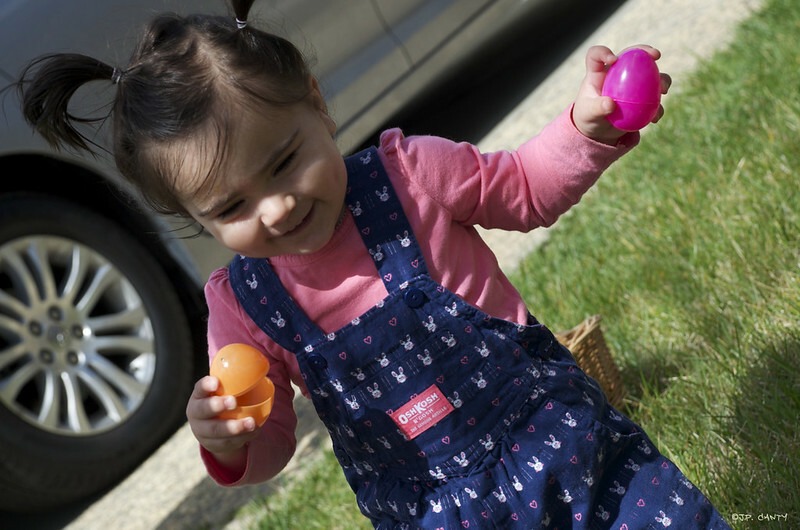 Genevieve is a process-oriented kid, so when she was done finding the eggs, she asked Andrew to hide them "AGAIN! Peease." Aaaaand, again. (Also, this time, UnkieSam hid the empty plastic eggs in the living room.) 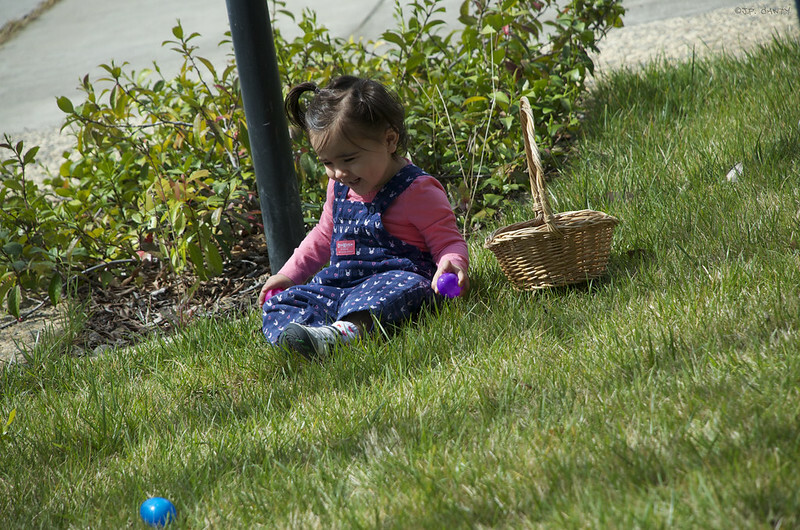 After three consecutive egg hunts, Genevieve was ready for a nap- which she *asked* for. 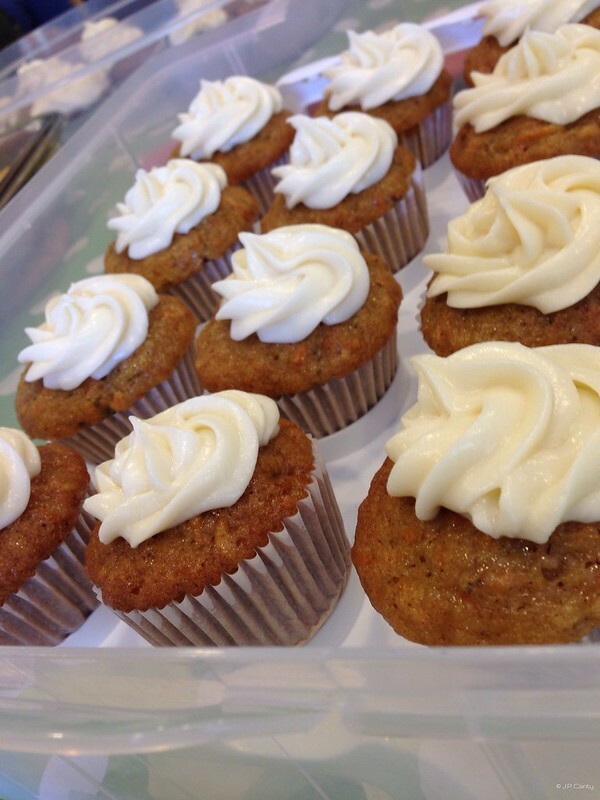 While Genevieve was napping, I whipped up the cream cheese frosting for Carrot Cake Cupcakes (from the Baking Illustrated cookbook) for the afternoon's family gathering. AndrewBunny did the artful piping, with juuuuust enough cream cheese frosting. Shown in our cupcake carrier . Worth every penny. Once Genevieve was awake, we headed to our afternoon family gathering. 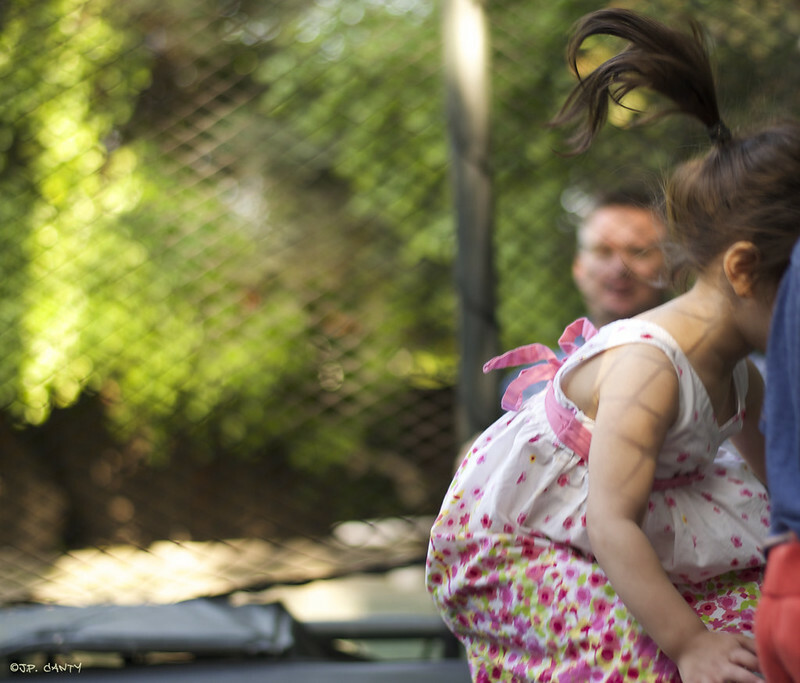 Any time we go to a family gathering, it takes Genevieve a little while to warm up to the crowd. Meaning, she and I usually sit by ourselves somewhere quiet until Genevieve is ready to join the party. Or until one of the older kids comes out to play with her. 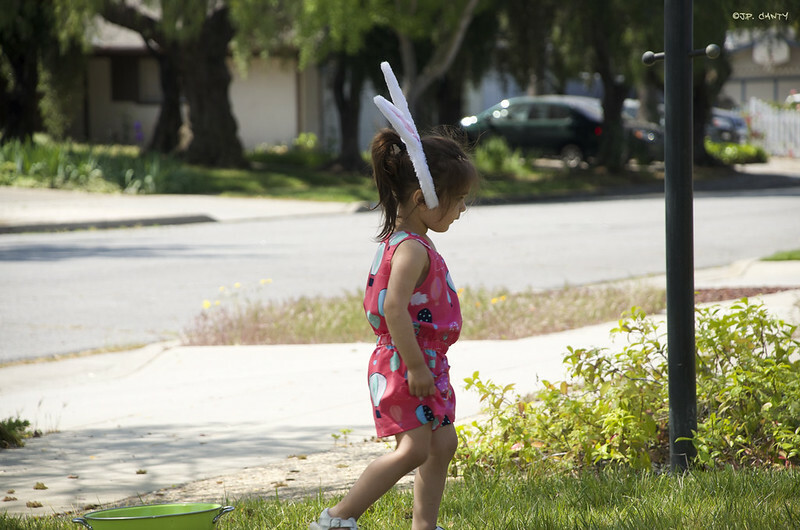 On Easter, it was the latter that helped Genevieve transition into her usual social butterfly self, and the egg hunt was ON. Genevieve had a great time, hunting and counting. The pretty plastic eggs were filled with candy [READ: "the devil's sugar"], so I quickly corralled LittleJ, relieved her of her bag of goodies, and with subtlety and teamwork that would BOGGLE YOUR MIND, Andrew and I deposited the contents of Genevieve's eggs into LittleJ's bag. Genevieve got to play with the eggs, and she didn't miss the candy on the inside. Win-win. She was happy, showing everyone her eggs, talking about the colors. She thought her day couldn't get any better. 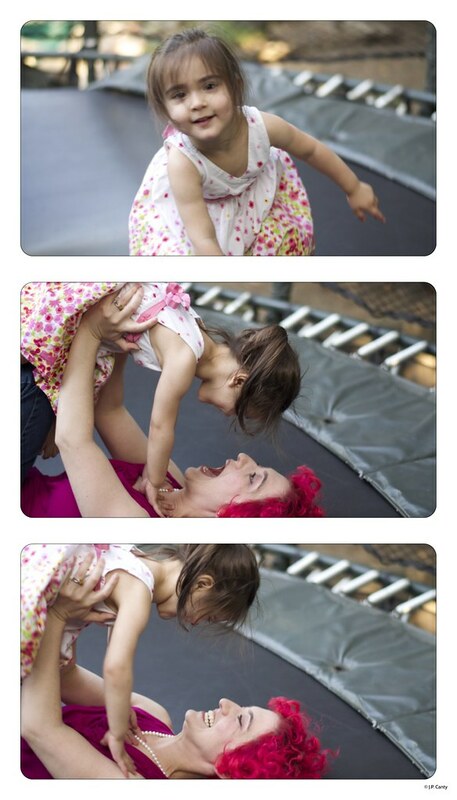 ... And then Genevieve discovered the trampoline. "Mommy! Come play with me!" 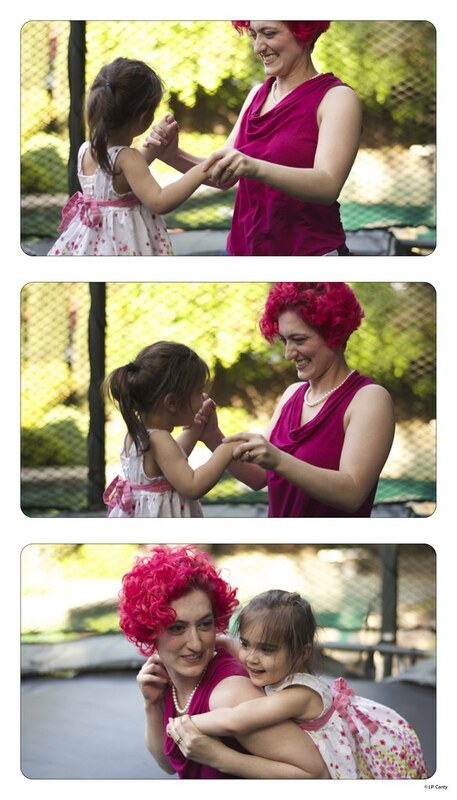 ... And if something is great, Genevieve makes *sure* I don't miss out on it. 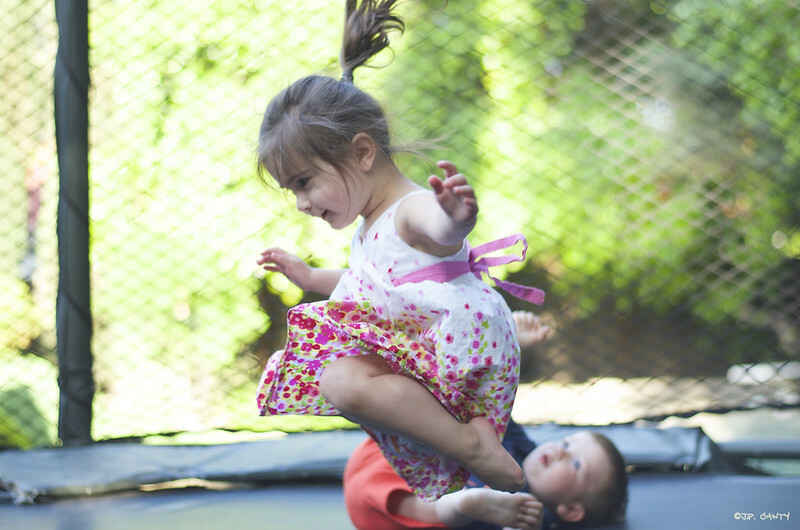 She's thoughtful and generous, and a great trampoline-bouncer. It was our hoppiest Easter yet. Wonderful post! 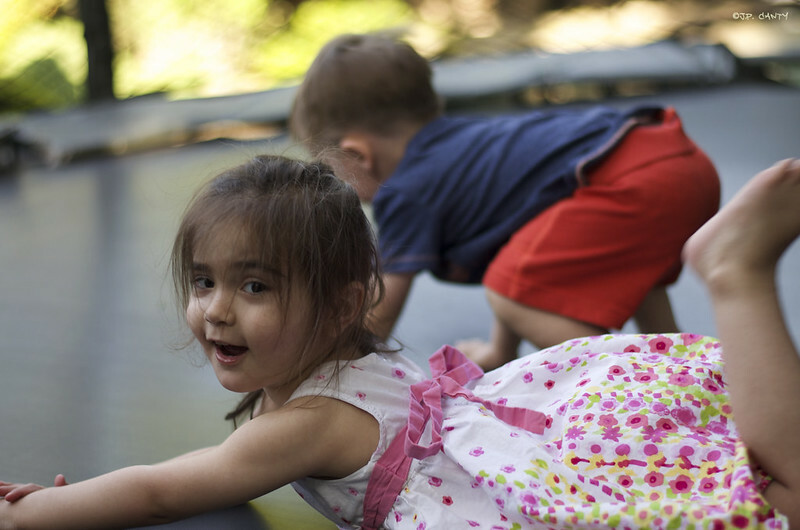 I especially like the photos of you and Genevieve on the trampoline. Beautiful! Almost no where else does time make such a difference as in the life of a child. She has changed exponentially. Beautiful photos. Beautiful family.